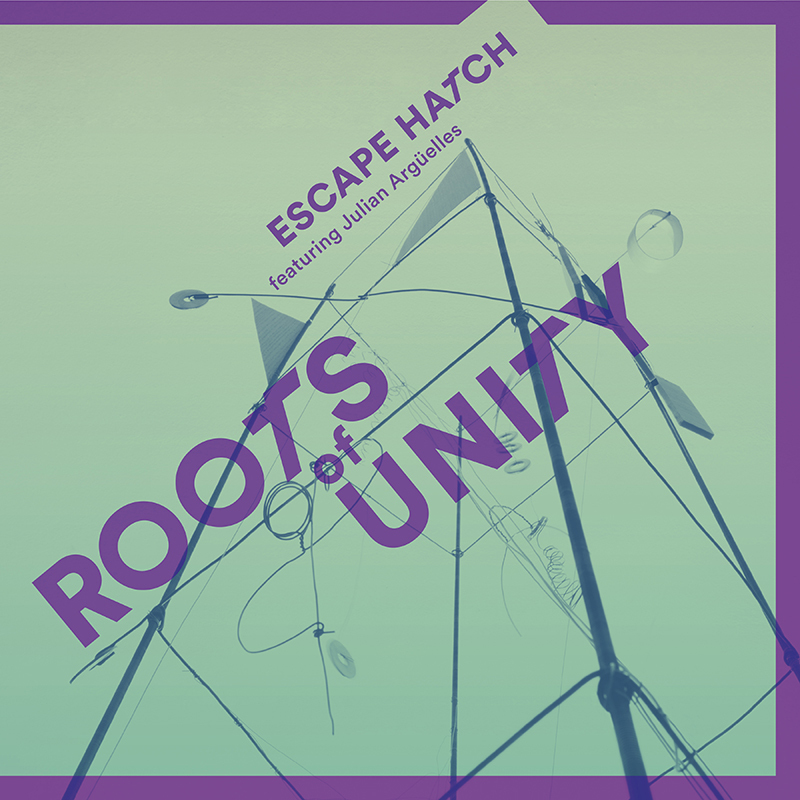 Echoing Escape Hatch’s creative bond, as well as offering a defiant response to current political divisiveness by reaffirming what we share as human beings, Roots of Unity also strongly reflects Di Biase’s interest in mathematical concepts in relation to music – specifically, the strength in a complex number being derived from the figure ‘one’. 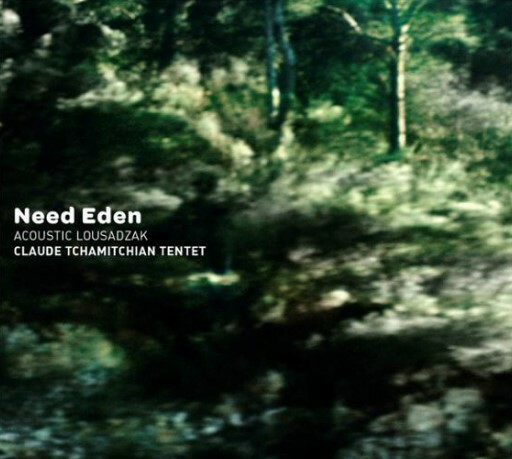 But whatever connection is made, this is an album whose integrity and finesse shine out, the bustling energy of ten-minute ‘Hysterical Revisionism’ also revealing the band’s openness through Di Biase’s sonorous perambulations and Neame’s pianistic impressionism. Arguelles’ authoritative invention is present in four tracks, swelling such buoyant outings as ‘La Strega’ and ‘Moon Bathing’; and ‘Today, Tomorrow, Never’s’ questioning demeanor (a poignant commentary on migrants’ struggles for a better life) becomes enhanced by the tenorist’s characteristically mellifluous delivery. The trio itself is many-hued, from the angsty bass attack of ‘Resignation’, through the multifarious textural levels of title track ‘Roots of Unity’, to the pensive weave of ‘Dust and Moonlight’ (a title taken from a line in American illustrator Don Hertzfeldt’s animation Everything Will Be OK); and miniatures ‘History Repeating’ (based on the opening number) and ‘Common Multiple’ (subtly reconfigured from the title track) create a compositional illusion, changing the perspective of what has gone before. 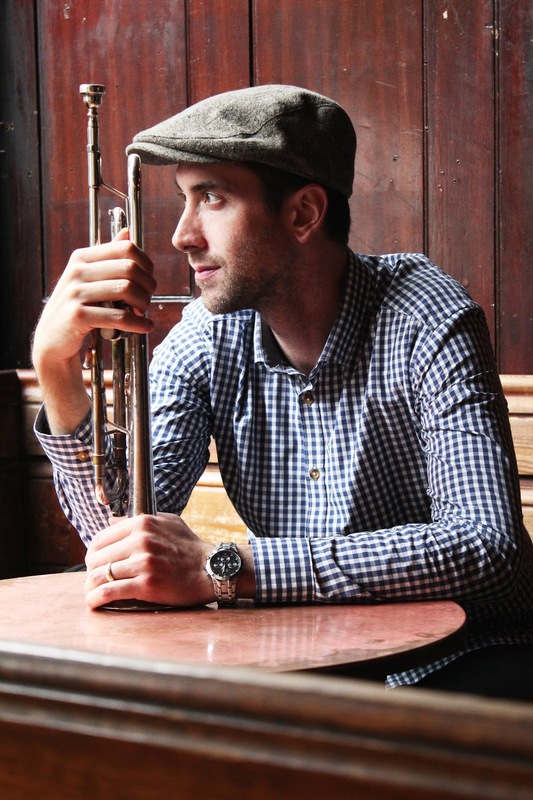 For his third Whirlwind release, Pennsylvania-raised, London-based trumpeter Andre Canniere shifts in an oblique direction from previous albums Forward Space and Coalescence with original compositions inspired by the words of Bohemian-Austrian poet Rainer Maria Rilke and American author Charles Bukowski. 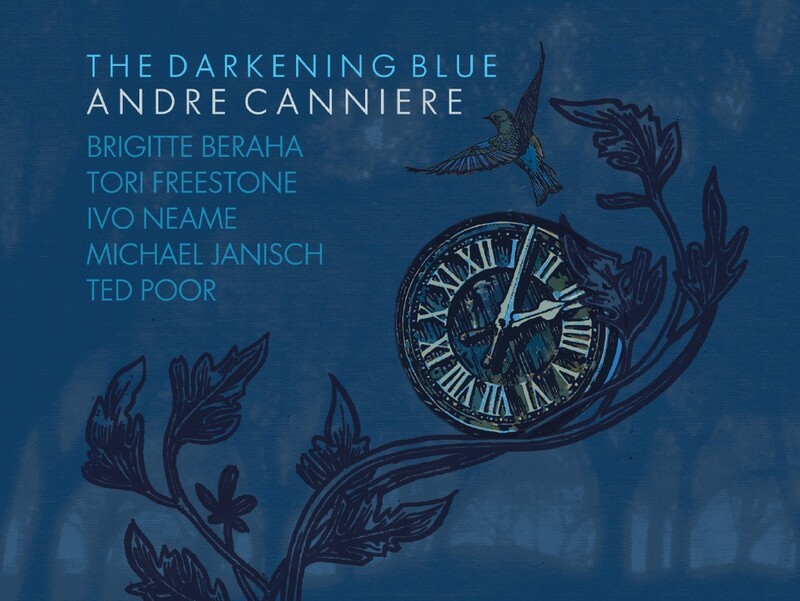 The Darkening Blue is a sextet project which reaches into the heart of Stephen Mitchell’s insightful translations of Rilke, some of which are conveyed by one of UK jazz’s most expressive vocalists, Brigitte Beraha. There are instrumentally diverse interpretations, too, of Bukowski’s writings, which are illuminated throughout by Tori Freestone (tenor sax), Ivo Neame (piano, keyboards, accordion), Michael Janisch (acoustic/electric bass) and Ted Poor (drums). Combining Rilke’s mystical intensity with a reassuring wistfulness, Beraha delivers lyrical stanzas which rhythmically and organically enfold Canniere’s narrative arrangements to kindle rich, tumbling, connective improvisation – and that sense of engagement and craft flows throughout an album which is as forcefully dynamic as it is emotionally moving, frequently drawing out imaginative displays of virtuosity. 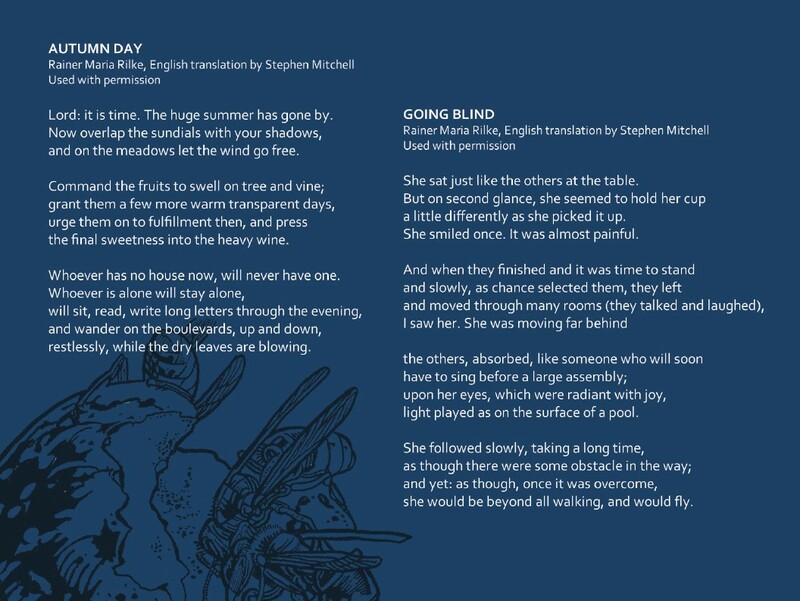 Yearning, waltzing ‘Autumn Day’ bids farewell to summer through Canniere’s lilting instrumental and vocal melodies which are contrastingly imbued with soft aromas and impending solitude; and Bukowski’s poem ‘Bluebird’ (reinterpreted through Monique Canniere’s words) is a sparkling first take whose songlike structure swings out to fluent trumpet and tenor sax improv, while the horns closely mesh with Beraha’s natural, pliant vocalisations (an especially appealing compositional quality here). Ted Poor’s incisive drumming colorizes ‘Splash’, a buoyant, bass-and-piano-propelled episode which features Freestone’s elegant modal explorations; while the airy tranquillity of Ivo Neame’s electric piano and Canniere’s dreamy trumpet in ‘Area of Pause’ snap into pure energy, throwing caution to the wind in a rippling dash to the finish. Perhaps a post-modernist theme for turbulent political times, Bukowski’s ‘Hug the Dark’ is menacingly pictorialized through an urgent, heavy-rock groove, with Freestone pushing hard at her tenor’s limits over jagged electric piano, ominous electronics and Michael Janisch’s distorted bass – and, as elsewhere in this hour’s homage to profoundly-communicated verse, Canniere’s own instrumental invention and technique reach new heights. 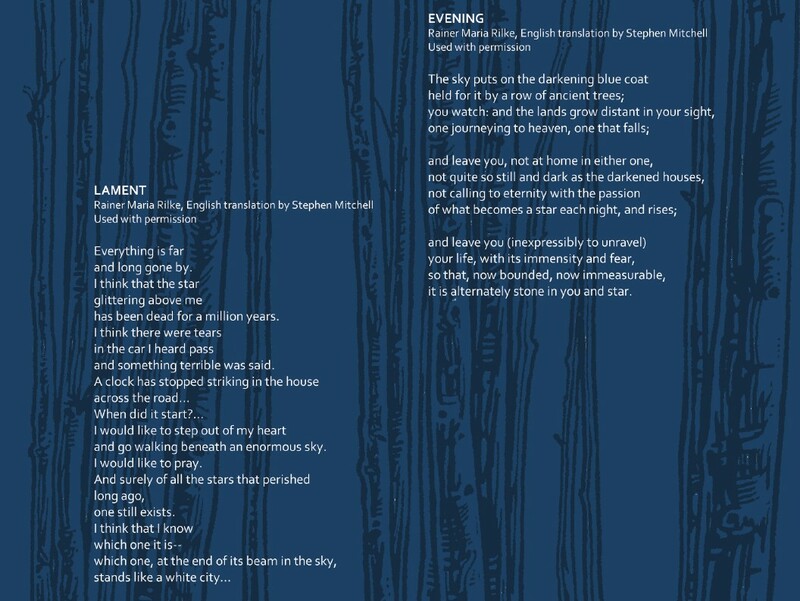 Creatively embracing the specific progression of Rilke’s poetry, ‘Evening’ falls, rises and then unravels into spine-tingling, paroxysmal free jazz; ‘Going Blind’ finds Beraha’s spirited, precise voice tracing a weightless pathway to eventual freedom; and closing ‘Sunflower’ – a carefree dedication to the leader’s daughter, Emelie – eases out to blithe trumpet, unison horn phrases and Ivo Neame’s characteristically breezy piano. "A fine example of a stellar line-up achieving a remarkable amalgam of depth, warmth and sensitivity." "Canniere's instrumentals confirm his composing power... The band is terrific." 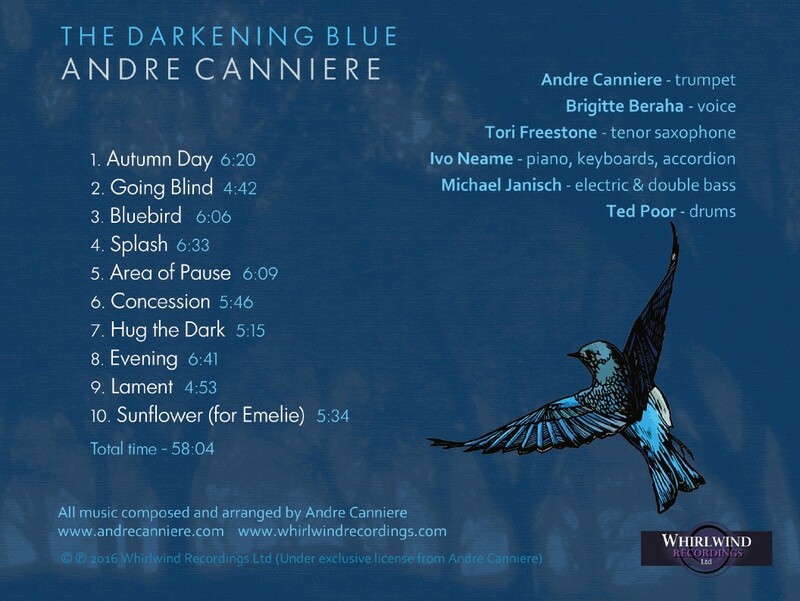 "The Darkening Blue is Canniere's most ambitious, wide-ranging and personal album to date." "The musicianship is beyond reproach." 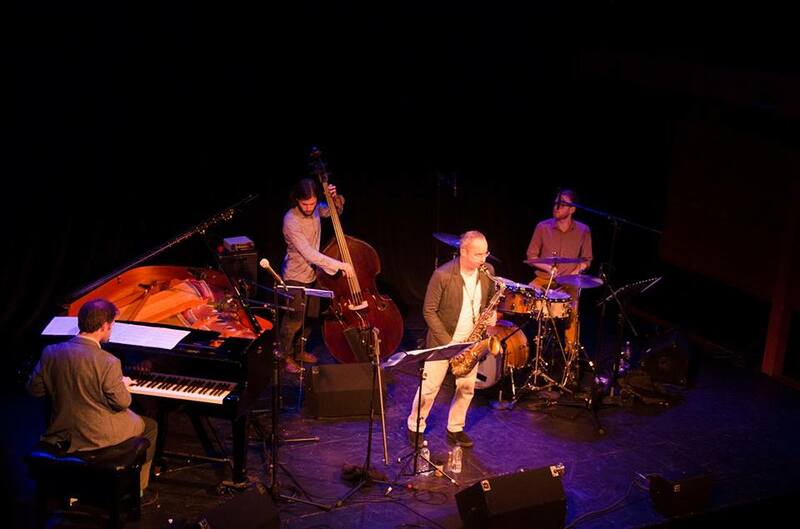 "A lovely sound, with melodic lines flowing easily off into improvisations." “Varied and intriguing... The pairing of Canniere with tenorist Tori Freestone is a delight." 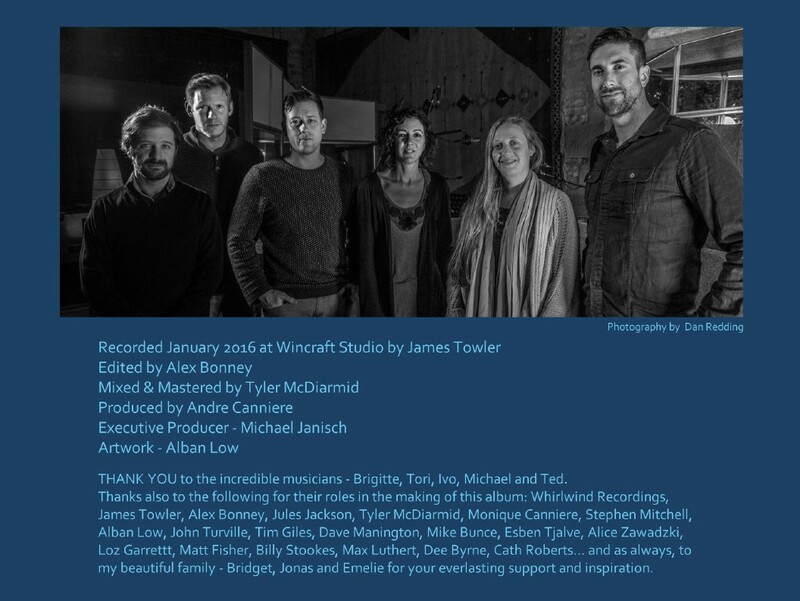 "This is sophisticated yet accessible music, immaculately performed by a crack band of highly compatible musicians." 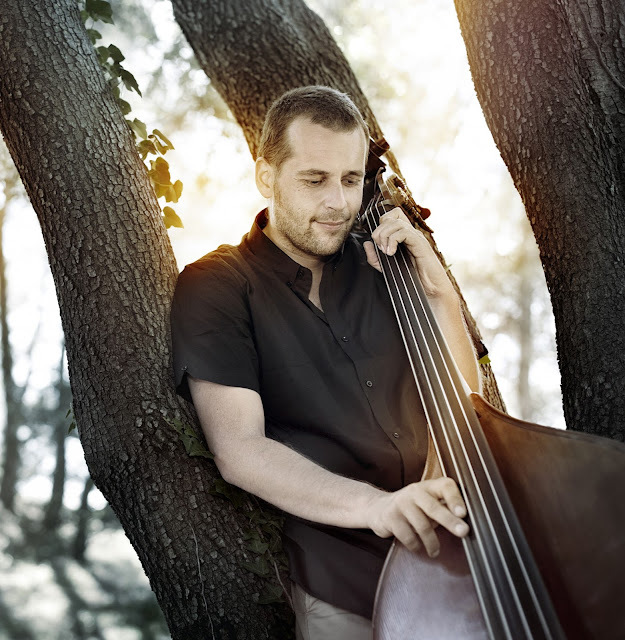 Claude Tchamitchian est un bassiste et compositeur parisien. On l’a entendu récemment dans l’excellent « Motian in Motion » de JM Padovani. Parmi ses nombreux projets musicaux, ce tentet acoustique, voix, trompette, deux clarinettes, violon et alto, piano, guitare, batterie et contrebasse. Le deuxième opus jazz du David Eskenazy Trio, est un ciel d’orage filmé au ralenti, où se déploient lumière et tourment, éléments contraires en friction, qui s’incarnent en une oeuvre envoûtante, puissante et introspective. La musique de l’album est faite de compositions originales de David Eskenazy où se mêlent, dans une écriture affirmée et novatrice, de multiples fragments d’influences: conduites de voix baroques, turbulences harmoniques du romantisme, puissance électrique du rock, science du gimmick et de la mélodie pop. 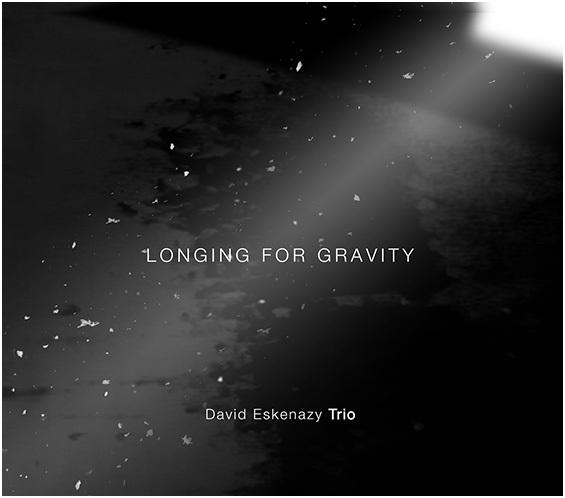 The second opus by David Eskenazy Trio is a slow motion storm. Oposite elements Light and torment are melting in a mesmerizing, powerfull and introspective album. The entirely original music composed by David Eskenazy is melting multiple musical streams : Baroque polyphony, harmonic vertigos of Romantism, electric power of Rock, art of gimmick and melody of pop music.